When the heat is beating down outside, maintaining a perfectly made up face can be really hard. Runny mascara and a patchy face is simply not a good look for anyone. Lucky for you, I have picked up many tips and tricks in the time that I have spent in India, many of which I regularly use to help me overcome the Mumbai heat. 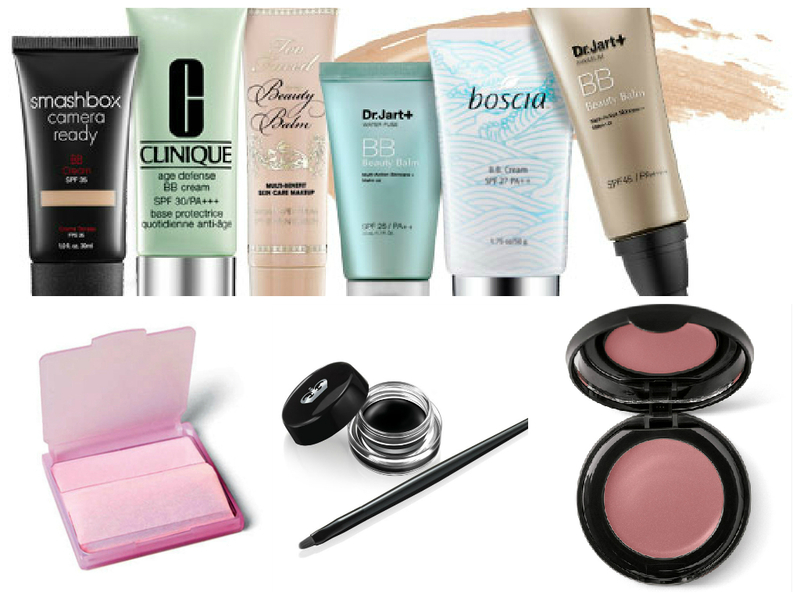 The next time it is scorching hot outside, try out one of these handy tips to save your makeup! 01. Always opt for long-lasting formulas that will not budge from your face. Because these products tend to be thicker than your average, mix them with a dollop of your facial moisturizer for easy application. 02. To prevent your eye shadow from creasing and looking tacky, make sure that you apply primer to your lids. It makes a world of difference! 03. Never leave the house without blotting papers to prevent that nasty shine that tends to develop in our oily spots after a couple of hours. Either that, or keep a nifty blotting powder on standby! 04. If you are going to wear mascara, it should not be anything by waterproof! It might be harder to remove than a normal formulation, but it is definitely worth the effort. 05. Take a chance and skip lipstick altogether. Instead, enhance your pout by treating it to some lip balm and a brush of highlighter in the center of your top lip. 06. Choose a cream blush over a powder blush for easy blending and a more natural look. 07. I would recommend using a tinted moisturizer instead of your regular foundation. If you simply cannot live without the latter, ensure that it is an oil-free one so that it does not clog your pores. 08. I am one of those girls who cannot live without a good eyeliner but when the temperature shoots up, you will not find me using anything but a reliable, long-lasting gel product. Do not even try to experiment with anything else. 09. When it comes to lipstick, matte ones are the way to go because they have an immense staying power and will definitely not melt off your face. 10. Before you start applying your makeup, set it in place with a makeup spray. You will instantly see the difference.